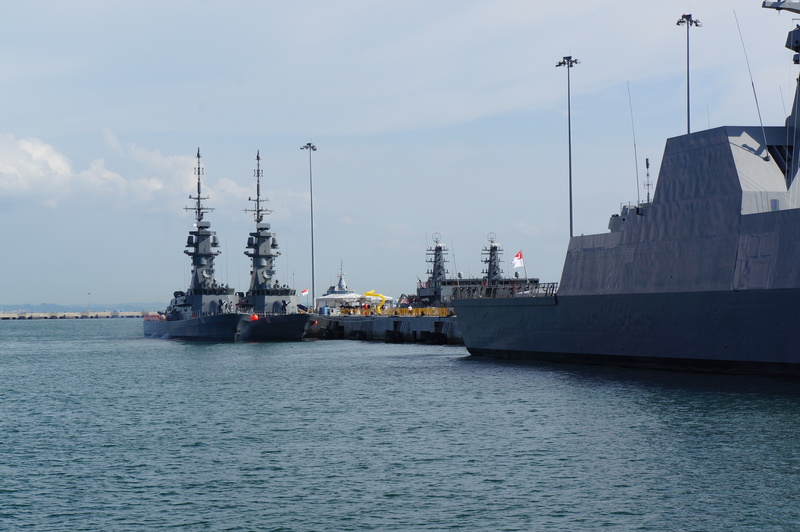 There were at least three Victory-class corvettes on show at the Changi Naval Base Open House – RSS Vigilance (90), RSS Valiant (91) and RSS Vengeance (93). These are neat little corvettes with extremely impressive masts. I remarked to madam as we wandered around that from a distance it almost looked like battleships with such big masts ((and no, I had not had any beer at that point, this was during my beer free period but it was hot)). The Victory-class missile corvettes are multi-purpose ships based on the MGB 62 design by Germany’s Lürssen shipyard for the Republic of Singapore Navy (RSN). The six ships were commissioned between 1990 and 1991 and form the 188 Squadron of the Republic of Singapore Navy. Towards the end of the 1970s Singapore was looking to take more of a regional role, in particular as by this stage its economy was being based more and more on sea trade – containers in and containers out. It was necessary to be able to extend protection over a greater area than in the past. 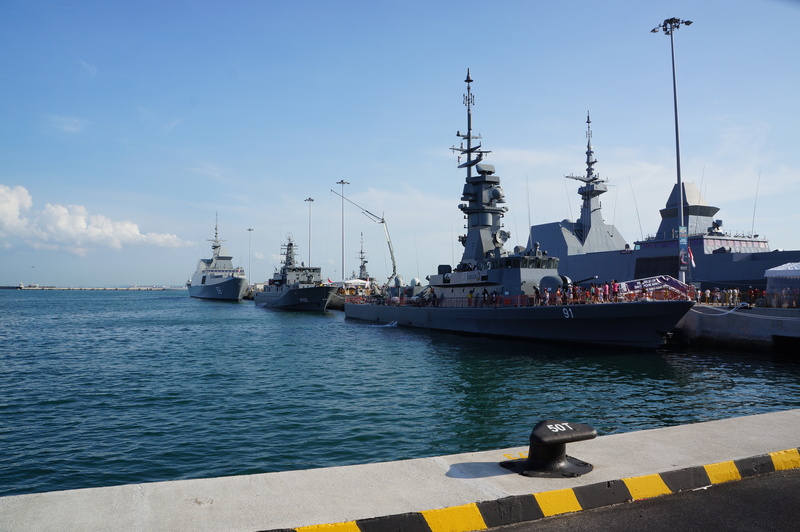 This resulted in an expansion program and as part of that expansion programme, the Republic of Singapore Navy ordered a squadron of missile corvettes from Fredrich Lürssen Werft in 1983. The first of the corvettes, RSS Victory (88), was built and launched in Germany while the remaining five were built locally by Singapore Shipbuilding & Engineering. The corvettes were initially equipped with sonar and torpedoes and were therefore the first class of ships in the RSN to have anti-submarine capabilities. Two sets of 8-cell Barak I launchers were fitted to the vessels in 1996 with a second fire control radar on the platform aft of the mast and an optronic director on the bridge roof. Rudder roll stabilisation was also retrofitted to improve sea-keeping qualities. In 2012 RSS Valiant was the first of the Victory-class corvettes to be upgraded with a single ScanEagle UAV. Service life for these vessels has been extended and I must admit, they are neat looking vessels (and from a painter and modeller’s perspective, definitely a darker grey than the Formidable-class frigates). The general characteristics of the vessels are outlined below.